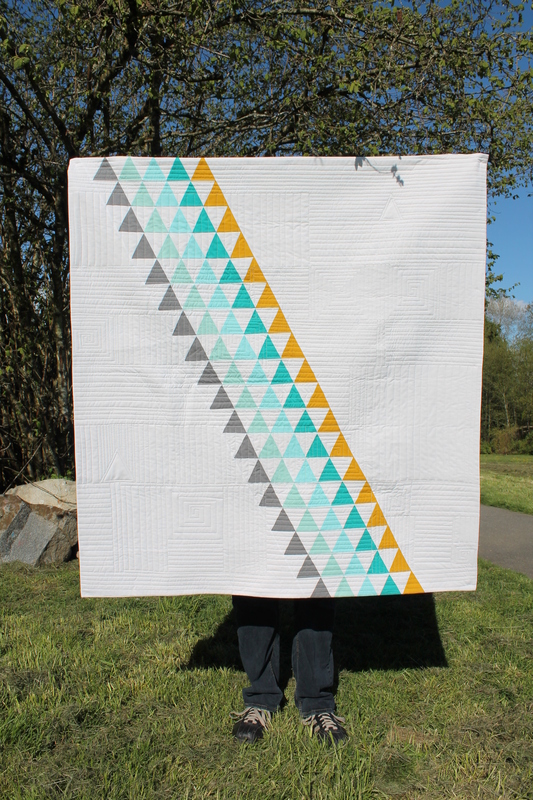 I have been waiting all month ( and some of April too) to share this quilt finish with everyone! Way back last year I submitted some designs to the Modern Quilt Guild for the Quiltcon Raffle Quilt. 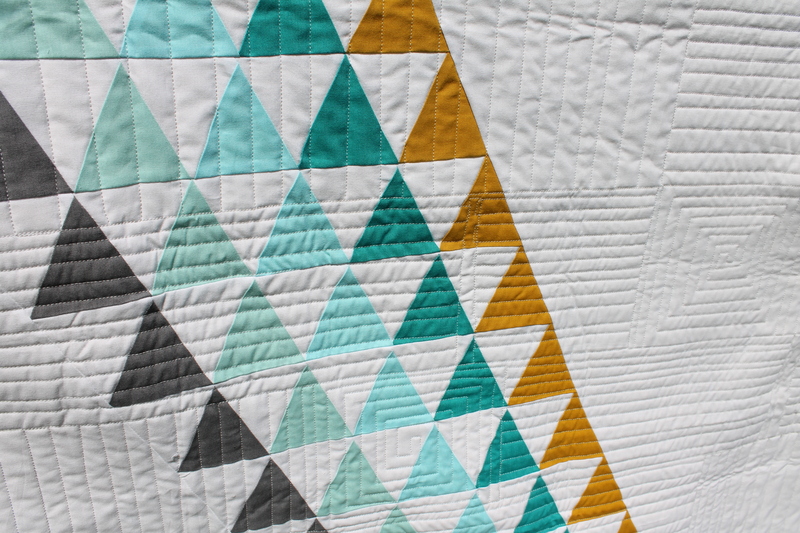 The design they chose was superb and perfect to represent modern quilting. Then I got an email asking if i would be interested in repurposing my submission for the Pattern of the Month program. Of course I said yes! Meet my newest baby, Sunshowers! Sunshowers is my representation of the rainy days in Vancouver, where the sunbeams break through the clouds and you know that it won’t be raining forever. It starte as a QDAD design, but quickly morphed into something more personal as I worked on it. Look at all those triangles! 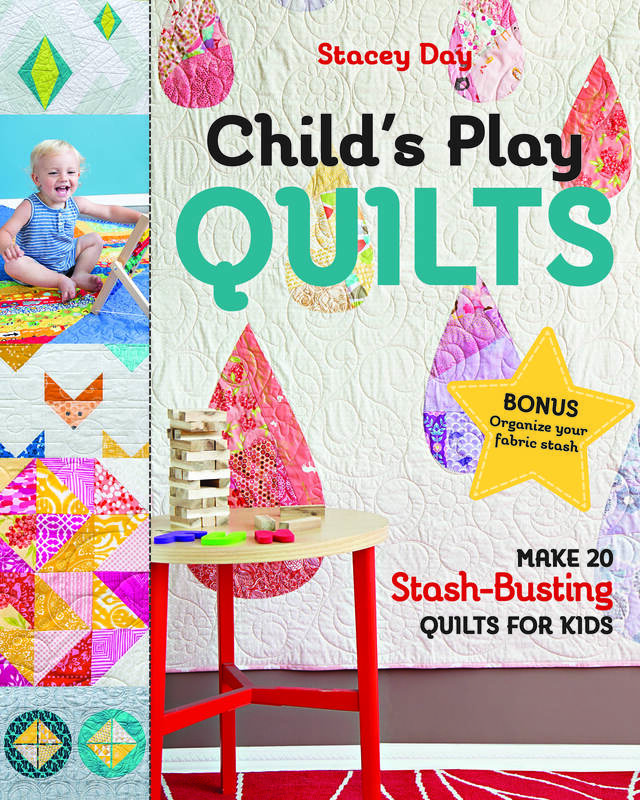 I tweaked the size of the design to make it suitable for a child’s quilt. Then I had all kinds of fun putting it together. 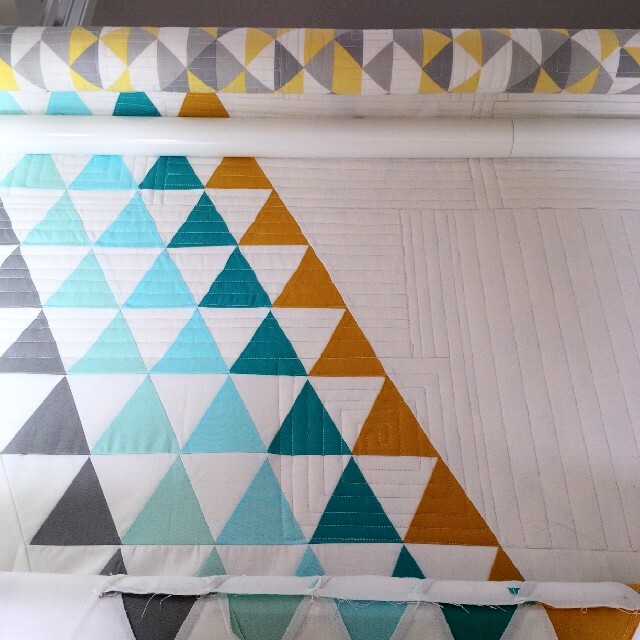 I freely admit that pressing is my least favorite part of quilting. Thankfully I was at my parents for a weekend and my mom LOVES pressing, so she did it all for me. 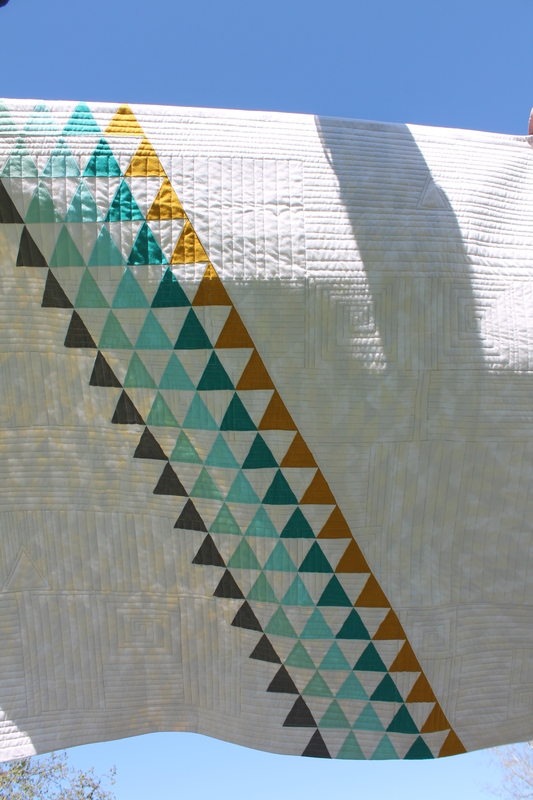 I am so happy with how the quilt turned out!! 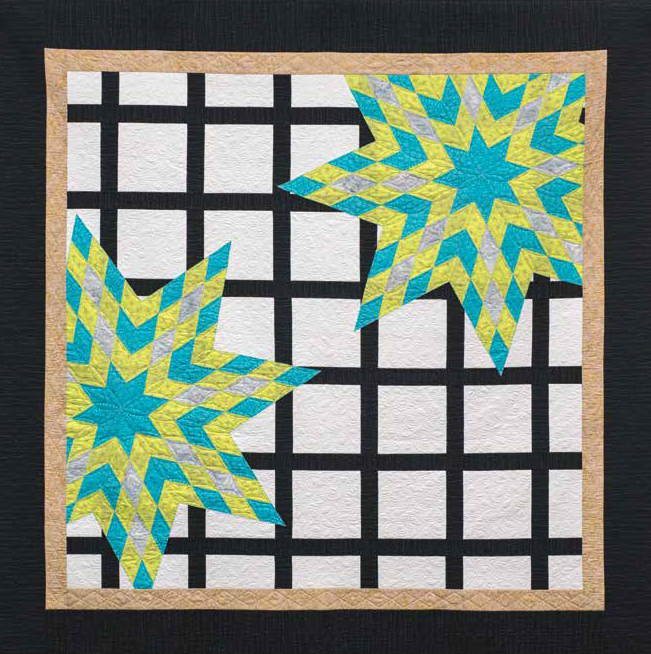 Sunshowers is a free download for Modern Quilt Guild Members though the community forum. 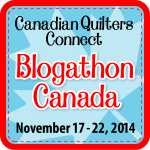 Members will have the link emailed to them. For those of you who aren’t, I will be able to have the pattern made available for download in a few months! 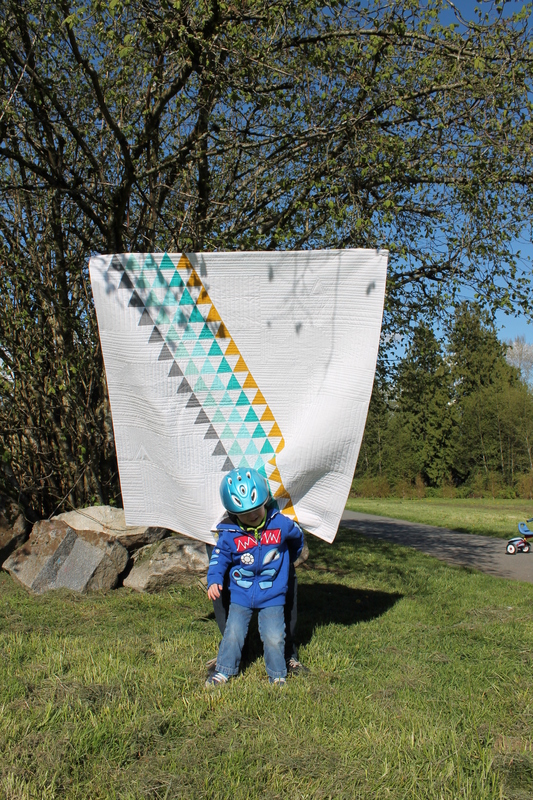 I used a selection of Cloud 9 Fabrics beautiful organic solids for Sunshowers. They are so super soft and pretty! And that’s without washing them! Two weeks ago in April I was honored to be one of the featured speakers at the 2015 Gathering of the Guilds in Osoyoos, BC. It was an amazing day, filled with laughing, quilting, shopping, and fun. I got to meet so many amazing people! 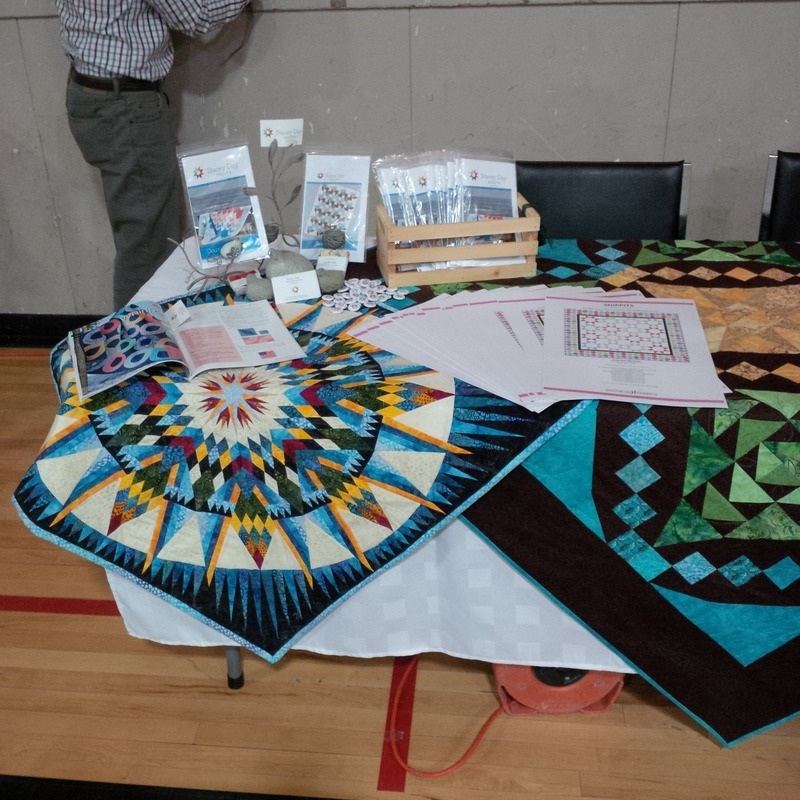 The Osoyoos Quilters Guild hosted the annual event, and they did an amazing job. From the charity blocks to the table settings, everything followed the theme of “Black Tie Affair”. 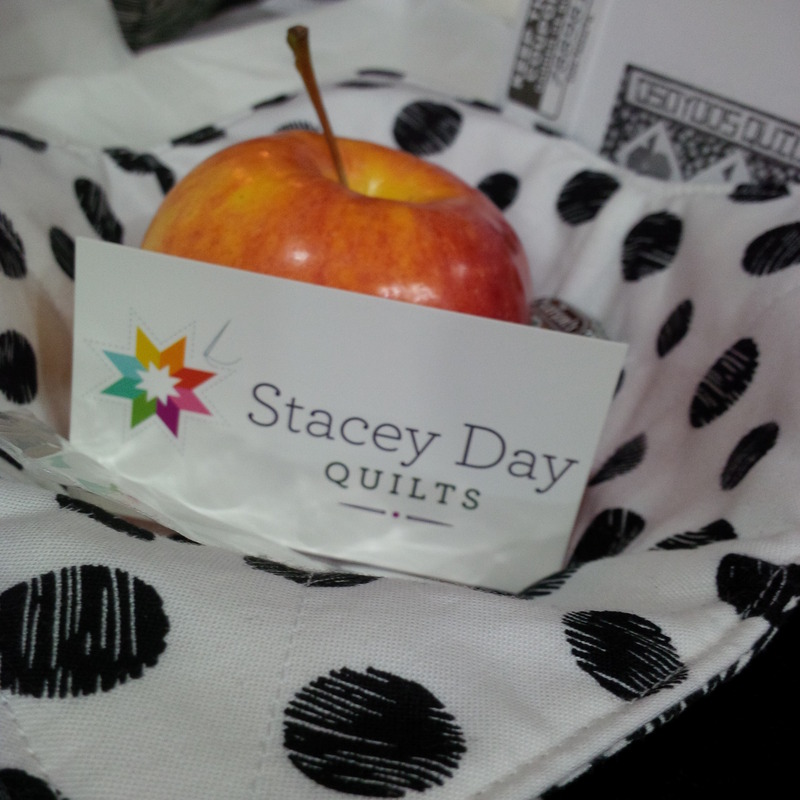 Everyone who attended wore black and white, the charity quilt blocks were black bowtie blocks, and each table setting had a handmade basket in black and white filled with yummy treats and healthy snacks. It looked awesome! 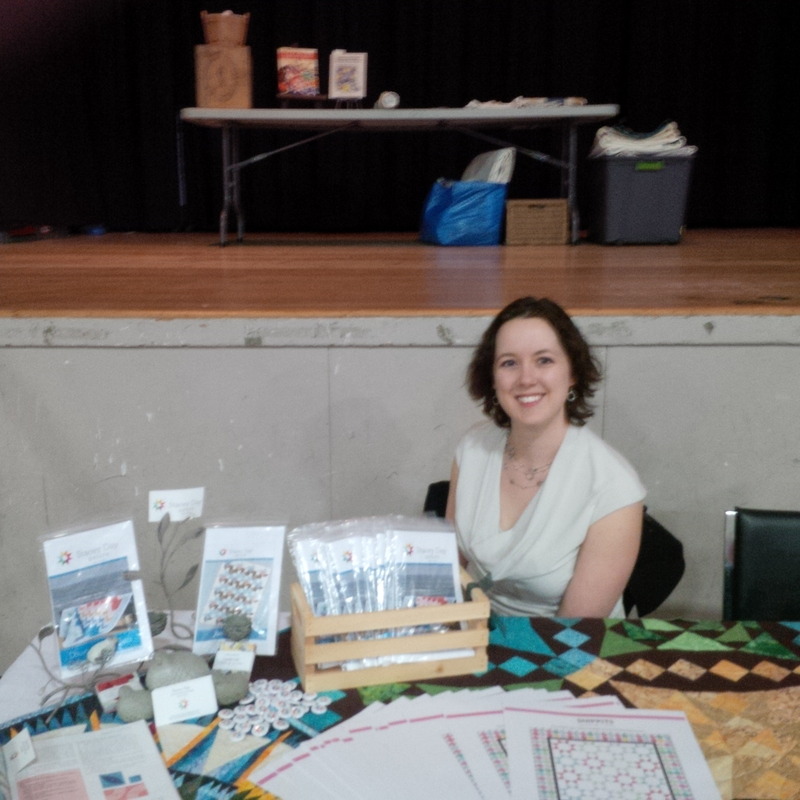 I was given a display table right up front. I did not expect it to be so large OR front and center, and had a mini panic attack. Luckily my mom is super awesome (and really should be an event planner) and she helped me pull off a great looking display of patterns, quilts, and little ceramic quails. I am not ashamed to admit I have been coveting those quails for years…. I presented my trunk show in the morning. My mom and grandma were in the very front row taking pictures and (silently) cheering me on. 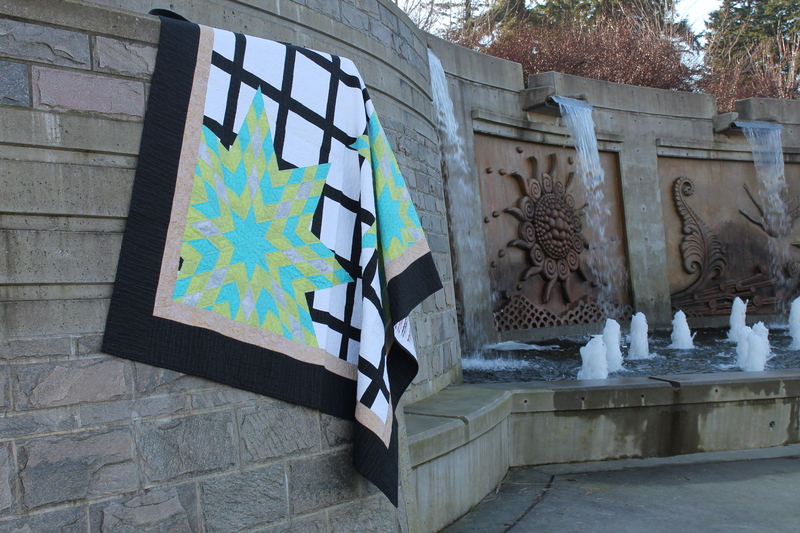 I talked about my journey as a third generation quilter, my inspirations, my achievements and my failures (which we all know are just learning experiences). 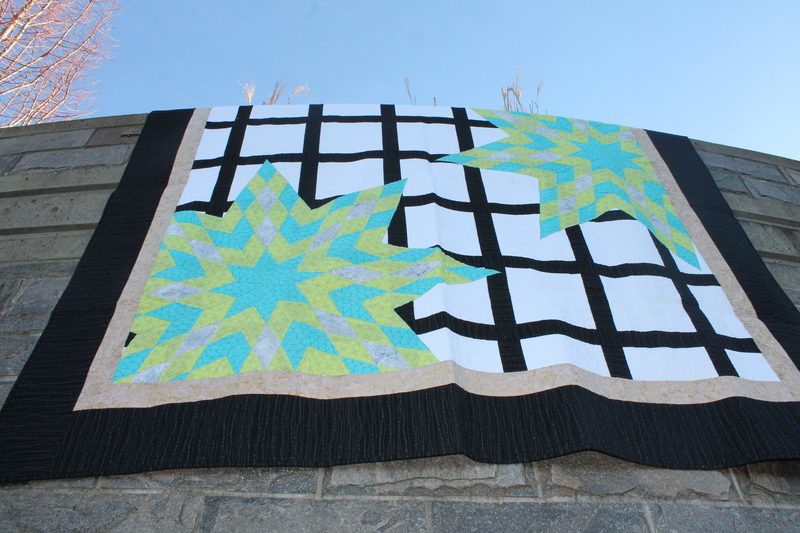 I was able to finally show the quilts from the book that never was and talk about how that experience was a defining point for me as a quilter. 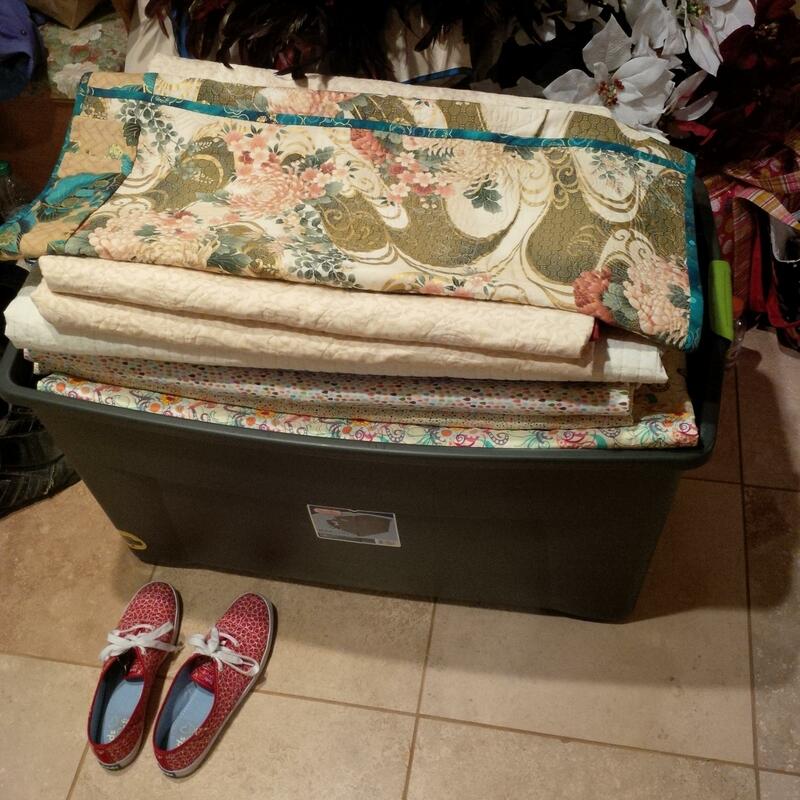 I had almost 25 quilts in my trunk show, and as it turns out, all but 2 were made in the last 18 months. There were even quilts that I wasn’t able to show, due to the timing of quilt market, and I realized just how much I actually do. At lunch time I went upstairs to visit the merchant’s mall. 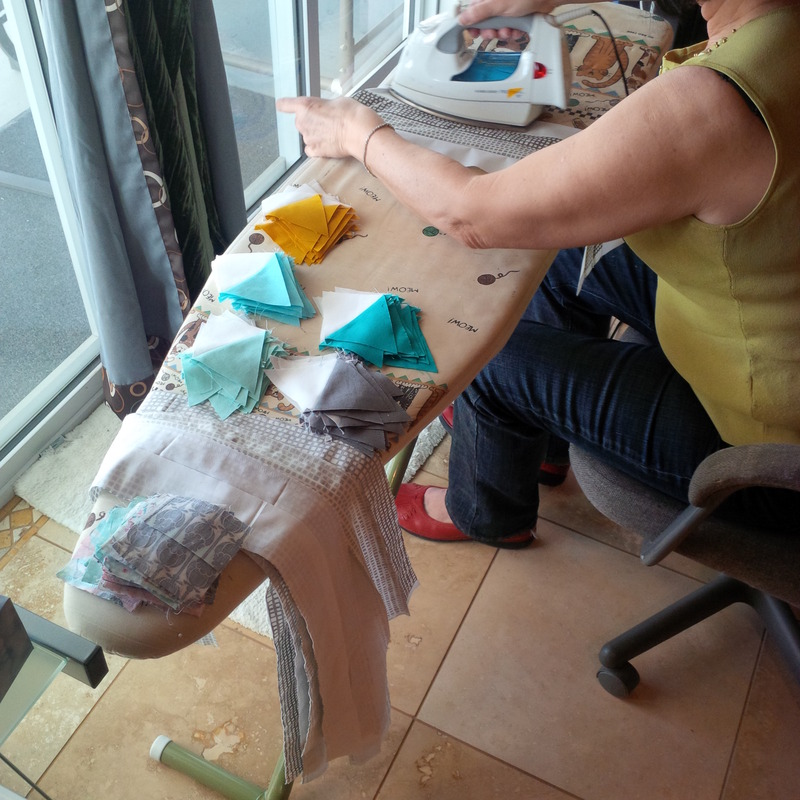 I was delighted at the number of quilt shops in BC’s Interior, especially the new ones that have opened in the last couple years. 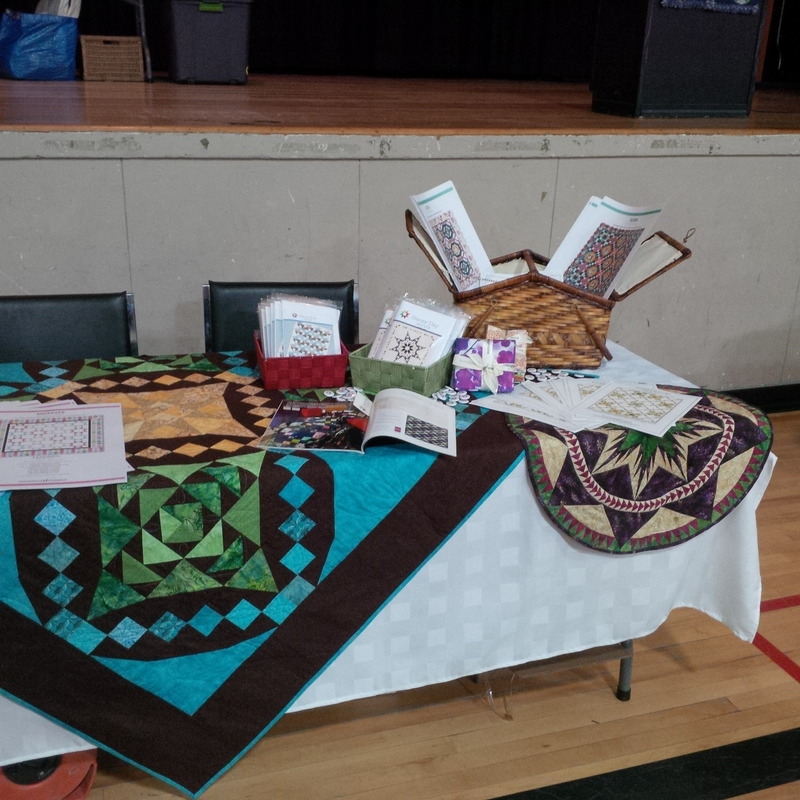 It shows that quilting is alive and well in this part of our beautiful province. 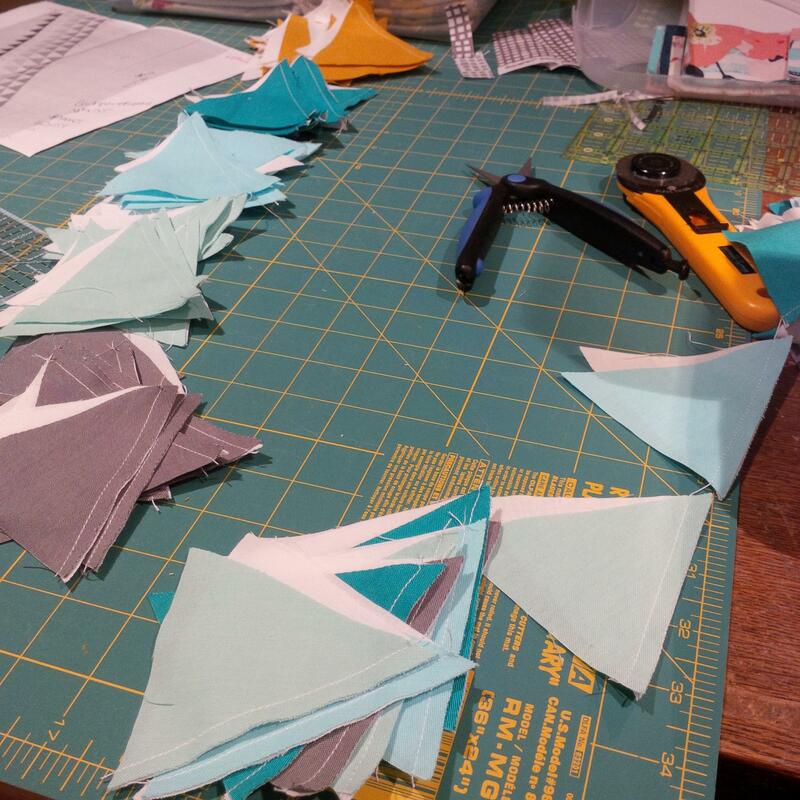 I picked up some thread to try on the long arm from Peach Tree Quilts (I also cleaned her out of Mochi), and a curated bundle of fat quarters from Heart n’ Sole Quilts just because it was pretty (Bonnie and Camille with Joel Dewberry is a match made in heaven)! The day was amazing, and made a wonderful end to a very, very busy month. 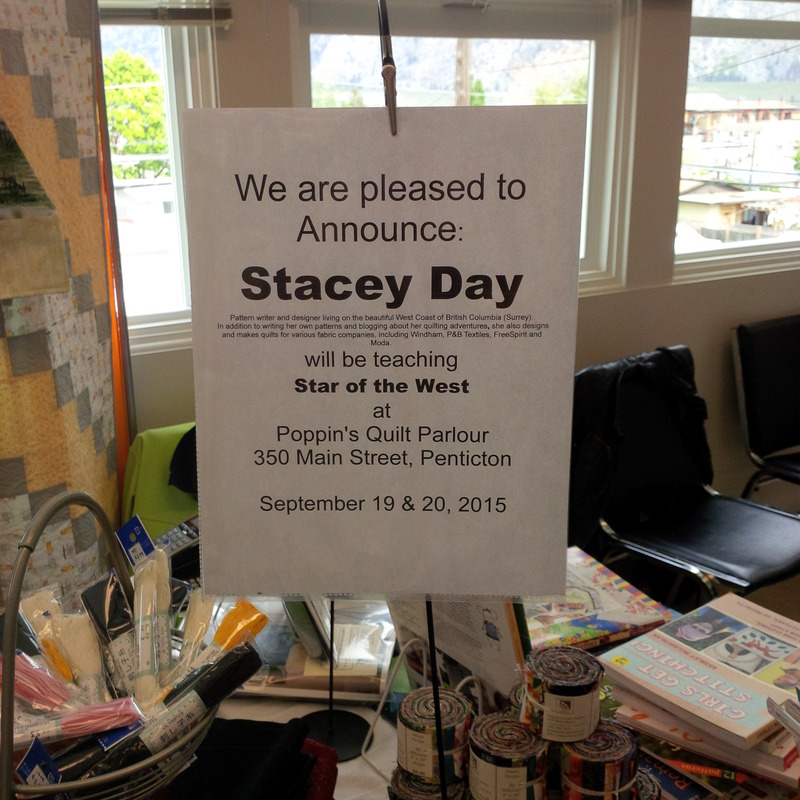 Thank you so much Maureen Wood and the Osoyoos Quilters Guild, for having me!